Good bbq is something you just can’t go past. With a night out in the Simi Valley for Al’s hockey, I found this little gem a short walk from our motel. Red’s Bbq website talks about ‘a love affair’ and after trying it, I think it’s a fair statement. We went at a fairly reasonable time, 7pm, as I really have no idea how late people eat here and I was not going to miss out. When we got there it was busy, most of the tables were in use and throughout our meal there was a steady stream of people. The restaurant doesn’t look flash and is part of a strip mall, but don’t let that dissuade you. Our waitress was lovely. She was super busy but still chatted with all of her tables and gave good guidance on the menu, which I really like. It’s a big menu that holds the usual suspects: salads, meats in all sorts of combinations and desserts. 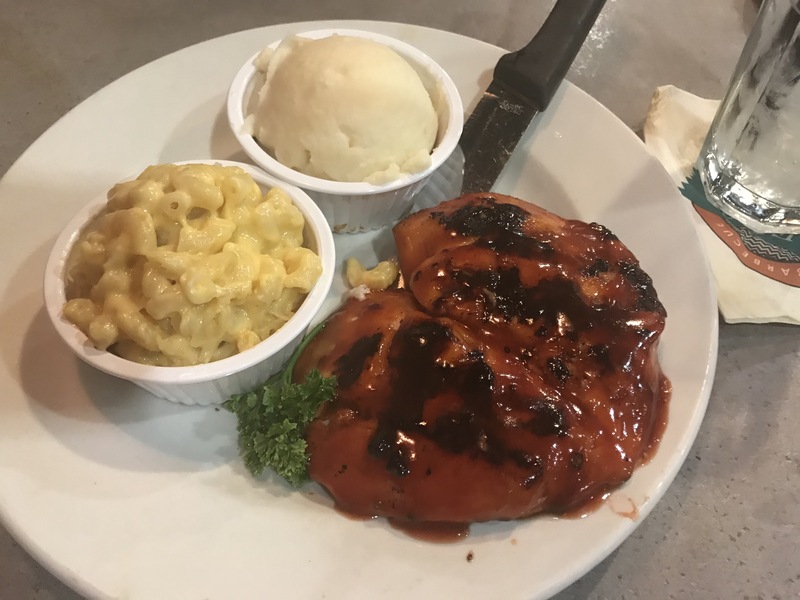 The chicken salad sounded really good, and was recommended but I opted for the bbq chicken breast so I could get some Mac n cheese. Besides, you don’t win friends with salad! Each main came with a choice of salads or soup and 2 sides. I opted for the house salad which was decent and the Mac plus mashed potatoes. Yup I double carbed and I don’t regret it! The Mac was great: simple, super American cheesy and delicious. I often get disappointed in Mac as it tastes floury or not cheesy enough but this was exactly what I was looking for. I told myself I wouldn’t eat all of the sides, but I lied. The mash was fantastic and I didn’t even miss gravy. The chicken was also good – a good crisp from the bbq on the outside and juicy inside, which many places struggle to do. Usually I am not a bbq sauce fan as I don’t like the sweetness, but this wasn’t overly sweet and had some really good flavour to it. 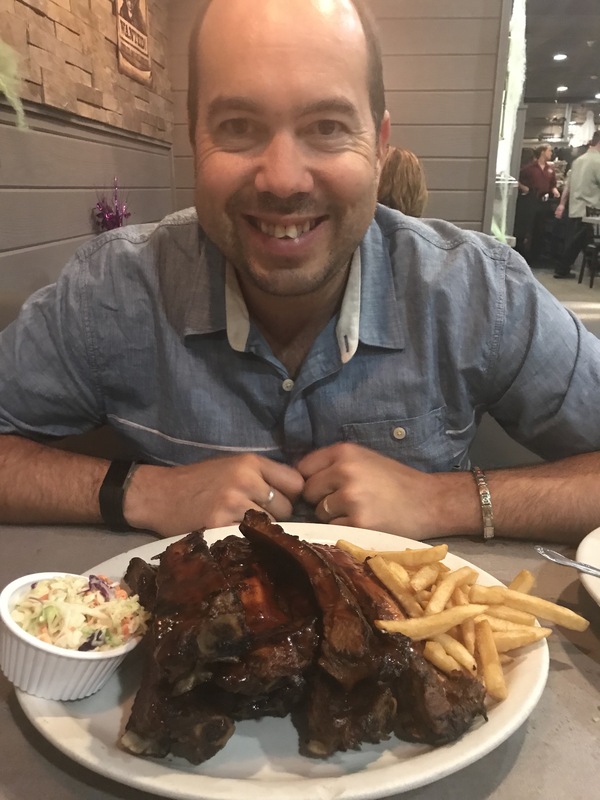 Now I’m not sure what will take you out to the Simi Valley, but when you do you should stop for bbq. I am all about that BBQ life. I love how happy Al looks with his ribs!